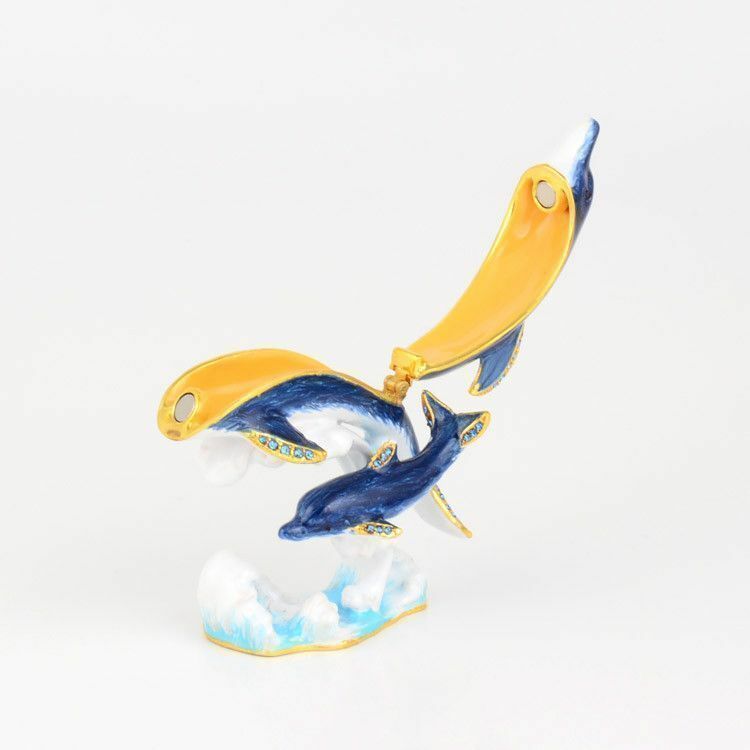 This pewter base trinket box features a pair of dark blue dolphins on water. 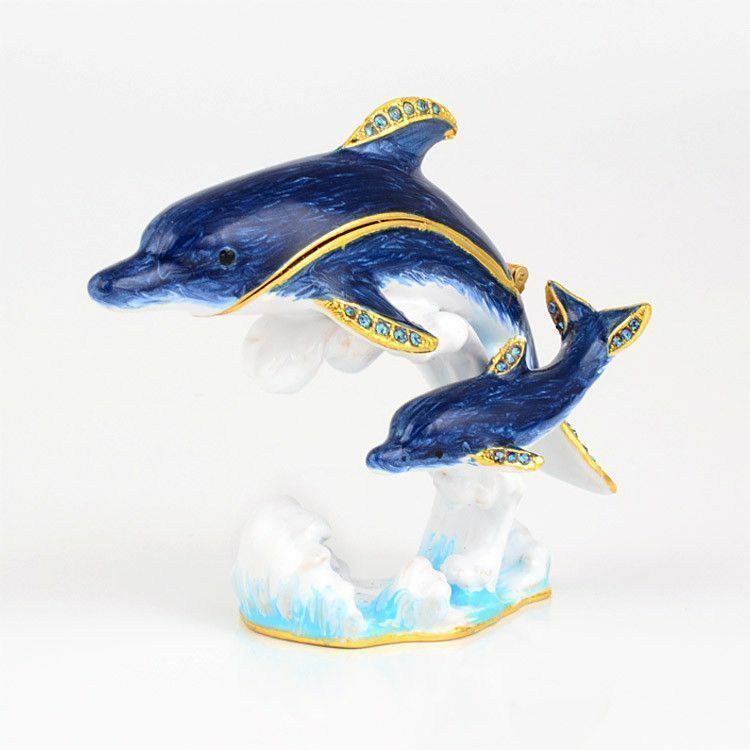 They are delicately decorated with light blue Austrian crystals and are gold plated. 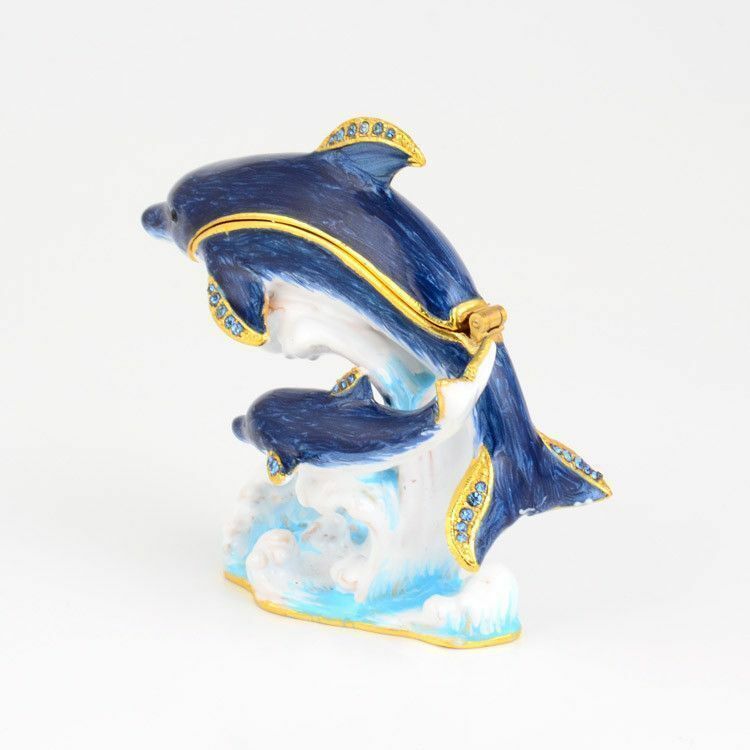 This Faberge style trinket box comes from Russia and makes an extracellent display piece for the home.